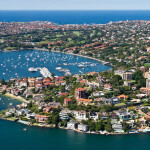 Do you want to know why Luxury Home prices will keep going up in Sydney, irrespective of local conditions? I just read an interesting article by Robert Frank at msn.com.au that outlines just that. The negative gearing debate never cools down. The Malcolm Turnbull coalition, though, has managed to put it off the table as it looks forward to firming up economic policies prior to the election. The focus will be on household wealth and property values instead of capital gains tax and negative gearing, said the spokesman for the coalition. In an article for the website Property Update, Pete Wargent discusses 7 reasons why property prices today are nowhere near the levels they were at three decades ago. Wargent begins the article by recommending to investors to capitalise on the phenomenal population growth and cramped supply in urbanised locations. In an article for the website Property Update, Michael Yardney sheds light on few reasons why Australian property prices may remain perennially high (well, almost perennially!). In an article for the website Property Observer, Jonathan Chancellor talks about the latest spike in Sydney median housing prices. From $787,000 for the March quarter, it has risen 3.1% to stand at $811,837 for the June quarter. Have Prices Maxed Out in Sydney and Melbourne? In an article for the website Property Update, Michael Matusik sheds light on how capital growth is relatable to a rise in household income, interest rates and the demand-supply dynamics, among other things. In an article for the website Street News, Louis Christopher dissects asking prices, vendor activity, and a few myths like the “property bubble”, among other things. Investors become wary when rental growth of their neighbourhood begins to doze off or when rental yields for their city/state begin to suffer in general. However, such things may at large be beyond their control. What is certainly within their direct control is that their tenants do not rob them off or even behave in a frivolous manner. There are certain set of rules each investor (also likely to be a landlord) must observe. It is any investor’s dream to buy in an area which has historically registered smart capital growth. Add to this the time-tested principles of buying in a fast-developing neighbourhood and moving in sync with shifting paradigms- proximity to urban location, cafe culture, among other things. This said, the importance of researching median prices cannot be overestimated. After all, it gives you a rather precise idea of how property is priced for the given area.